With inequality and environmental degradation on the rise, a growing number of social movements are struggling to achieve the right to directly participate in the decisions that will affect them and potentially alter the course of the world; in other words – direct democracy. One often neglected but essential way of moving core democratic values and principles like cooperation, passion for participation in public affairs, and solidarity and equality from the margins of our collective life towards its center, is the attempt to create an anthropological type that deeply embodies them. The implementation of direct democracy on a larger scale is impossible without the wider self-empowerment of common people (those, situated “below”). Ultimately, who will realize in practice a system based on popular participation, if not the public itself? Who will participate in the direct-democratic institutions we imagine – popular assemblies, councils etc. – if not the people themselves? This requires a strategy for inclusive self-empowerment or, in other words, changing the anthropological type of the modern human – who today is predominantly a disengaged consumer – into an active citizen. Surely, any such project will demand a lot of time and effort, simultaneously on practical and theoretical levels, in order to enable people to develop democratic habits and culture. This is something widely neglected by most contemporary ideological movements. Thus if we want one day to live in a non-hierarchical society, based on solidarity and direct participation, we will have to create the necessary conditions for its existence. In other words, if we want values like solidarity and self-management to take a central place in our lives, simply destroying the contemporary system won't suffice: it could even unlock "supposedly forgotten" barbaric instincts amongst large sections of society. Instead, we will need people who are embracing these values and principles deeply, in order to be able to co-exist without the paternalism of extra-social hierarchies (like state bureaucracies). And we will need lots of such people. But since our contemporary culture does not have these directly democratic priorities, it will be crucial to find other ways of opening spaces in which to plant the seeds of a different culture. This logic resembles to a certain degree Erik Olin Wright's concept of interstitial transformation . Good examples for such spaces are the autonomous zones, functioning in different parts of the world (like social centers, community gardens, worker cooperatives, democratic educational projects, housing co-ops etc. ), as well as ones on a larger scale, like the Zapatistas and the Kurdish democratic communities. Such spaces are already striving to satisfy real human needs by inserting autonomy and solidarity in the everyday life of their participants. Everything in the contemporary organization of our society obstructs such principles, inculcating instead submission and obedience towards authority, heteronomous acceptance of pre-determined truths etc. This is the situation in the modern family, state apparatus, capitalist workplace, compulsory education, etc. For example, we derive our education in classrooms, in which our attention is focused on the figure of the teacher, which is positioned “above” the student, and where horizontal interaction between students during class triggers penalties and punishments. From an early age our imagination is framed, and our creativity dulled, by established norms, which sustain the existing hierarchical culture. We are being taught to “think” in a “correct” way, so we can “win” the school competition, by giving the “right” answers to the teacher’s questions. Simultaneously a whole set of punishments and sanctions for students and teachers that dare to drift away from the norm is imposed. Another negative aspect, which grows out of this type of relationships, is that the great majority today remain strongly entrapped in the doctrine of economism, by thinking only of how to get a job, instead of how to live in a meaningful manner. By thinking in this narrow careerist paradigm, people begin to view all their life as a constant interaction between bosses and employees, without seeing any alternative. In such a mindset there is no (or very limited) space for principles like direct participation, cooperation and solidarity. In reality, this paradigm now dominates the imagination of the majority of working people all around the world, with tiny exceptions. But if this is our present situation, what will happen to our principles and our desire to spread them? One possible approach to overcome this oppressive paradigm and achieve success in the desired direction, is to enable the grassroots movements in which we participate generate cooperative and direct-democratic power. And this can happen mainly through the emergence of people that deeply value these principles. But what will lead to such a change in the anthroplogical type, so as to move ourselves beyond the passive consumer and develop a protagonist role in the public sphere? Surely there is no easy answer to this question. One possible approach is the transformation which takes place in small scale and local level initiatives, simultaneously in coordination with other similar processes taking place elsewhere. This strategy rests on the idea, advocated by the early anthropologist Etienne de La Boetie , that what is truly native to people is only their primitive, untrained individuality, the rest they tend to take for granted according to what they are accustomed to. Thus, the creation of different conditions, favorable of a different culture, is of crucial importance. In order for this transformation to happen, we will have to begin practicing direct democracy from today, and to such a degree, with such success, that common people will be able to recognize it by its basic characteristics. Reaching larger scales depends on collaboration between various initiatives and projects such as urban deliberative grassroots institutions, workers and consumers cooperatives, time banks, social or local currencies, democratic educational projects, housing co-ops etc., that affect different spheres of everyday life, filling them with autonomy and solidarity. Their success depends on the collaboration between these small scale projects, as well as on their inner organization – the maintenance of democratic procedures through various mechanisms like rotation of positions, distribution of profits amongst members according to effort and sacrifice, etc. In this way people will have the possibility to experience different educating, working, consuming, communicating, banking – in other words, living – making it easier for them to imagine a different way of life and become accustomed to its foundational principles and commitments. Thus, amongst the main goals of the various movements for direct democracy should be the constant connection of self-managed projects across various social, ecological, economic and other spheres. By saying this we acknowledge that people are not only economic beings, but social, sexual, and above all political ones, as well. In this way, we could seek the establishment of regional networks for sustainable long term development of social interactions, based on democratic cooperation, solidarity and equality. The culmination of this inclusiveness should be sought in the establishment of global confederated networks for the satisfaction of a greater number of human needs through autonomous and democratic means, challenging the very existence of statist and capitalist managers and intermediaries, and thereby creating conditions for the emergence of new culture. This project is unfeasible if we consider it only in terms of future generations, neglecting our lives today. I say this because it is an enormous thing to ask people to give up the "here-and-now" in the name of an uncertain future. However, we shouldn't abandon the generational prism completely, since many struggles of the past have sown the seeds of ways of life which are beginning to flourish today. The amalgamation of the two can be accomplished through a strategy for the development of a new culture, which would transform in practice our current everyday life, while in addition creating exceptions ("cracks") for alternatives modes of direct participation, projecting into the future. From the above we can suggest that the practice of direct democracy encourages the creation of a different anthropological type – in the shell of the dominant system – striving at independence from the state and the corporate sector. 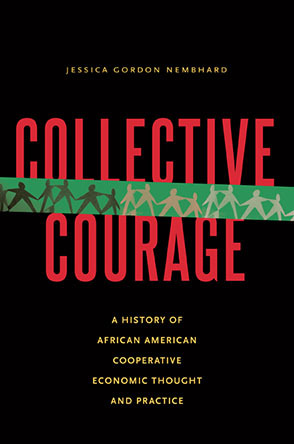 This process encourages self-empowerment of the involved individuals and communities, and simultaneously offers practical examples of how solidarity and collaboration can become the basic significant frame of everyday life. In other words, direct democracy can serve as a tool for dealing with the present cultural challenges by teaching us how to create spaces which could help us rethink our values, as they are today, and to overcome our widespread and disengaged consumerism. Such steps could open the possibility for the emergence of a new anthropological type that can become protagonists – deeply impassioned for public affairs and with solidarity towards the rest of their fellow humans and nature, and moving principles like solidarity and direct participation out of the margins, and towards the center of our collective and individual lives. These new principles and values, stemming from the grassroots, can replace today’s dominant consumerism and hierarchy. But political manifestos and ready blueprints for the future are not sufficient preconditions for this to happen. These new ideals have to begin penetrating every sphere of our life. What’s needed is a range of passionate practice, as described here. These localized and small-scale initiatives, especially when they collaborate, can help make us all more independent from the contemporary dominant structures, and allow us to begin laying the foundations of an alternative, post-capitalist and non-statist future. 2. Cornelius Castoriadis, “Political and Social Writings” (University of Minnesota Press, 1988); p. 96. 3. Erik Olin Wright, “Envisioning Real Utopias” (Verso, 2010); pp. 321-336. 4. James S. Slotkin, “Readings in Early Anthropology” (Routledge, 2011); p. 79. Yavor Tarinski is an activist and community organizer from Bulgaria. He is a compiler of two books in Bulgarian on direct democracy.